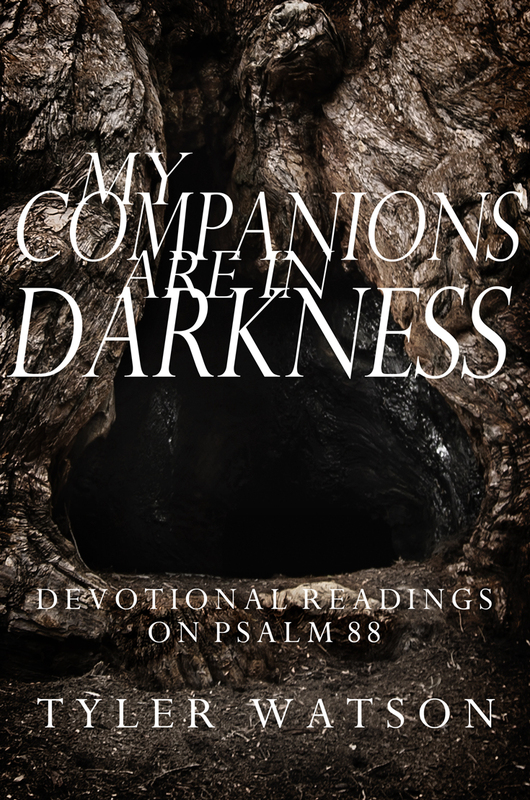 I have returned to the world of self-publishing with my latest devotional, My Companions are in Darkness: Devotional Readings on Psalm 88. The devotional guides readers slowly through Psalm 88, which is perhaps the most intense prayer of lament in the Bible. The psalmist acknowledges the uncertainty and pains of this life, but he refuses to give up on God. It is because he believes deeply in God’s promises that he can raise his protests to God as he endures trouble. The writer of Psalm 88 also shows us how we may take our role as covenant partners with God very seriously even as we face doubt, confounding pain, or depression. Sadly, I think Brueggemman is right that we have forgotten how to offer laments to God. Without lament, we have little ability to interact honestly with God when we face suffering and injustice. My Companions are in Darkness is an attempt to relearn this vital expression of prayer. Along with the daily readings and reflections, My Companions are in Darkness also contains brief essays that explore the necessary role of lament in our covenant relationship with God as well as explain the method of devotional reading I propose and how it differs from other important ways of reading the Bible. An appendix at the end of the guide describes some of the textual, cultural, and historical details of the psalm, while maintaining a devotional posture toward the Scripture. My Companions are in Darkness is available at Amazon.com for $1.99 on the Kindle format, or $5.99 in paperback. A free preview is available on the Amazon product page. If you don’t have a Kindle, you can still purchase and read the guide electronically by downloading the free reader app that works on smart phones, tablets, PC’s, and Macs. My first self-published devotional, Delivered from All My Fears: Devotional Readings on Psalm 34 is also available for purchase in Kindle or paperback at Amazon.com. Feel free to also visit and “Like” my author page at Amazon.